Even though we have come to expect reliable internet wherever we go, there are plenty of cities that still lack the fast speeds we have grown accustomed to. We previously wrote a post on the Top 10 Cities with the Fastest Internet, with Fresno California reigning in at number one at 104 MBPS. For comparison, the cities on this list are all 1MBPS or less, which shows a massive divide. Banjul is the capital of the Gambia, which is the smallest mainland country in west Africa. It has a city population of 35,000 and is both the government and economic hub of the country. Pyongyang is also the capital of North Korea with a population of 2.9 million. The Ryugyong Hotel is a famous landmark of the city as it won the Guinness World Record for world’s tallest unoccupied building, as it was built for the 1988 Summer Olympics which was moved to Seoul. Famous for its high-quality rum and tobacco, Havana is the capital of Cuba. Known as the Cuidad de las Columnas, or City of Columns, Havana has stunning colonial architecture mixed in with its Spanish influences. Havana has a population of 2.1 million. Lilongwe is located along the Lilongwe river in Africa and is the capital of Malawi. The city is home to an estimated 1.1 million people and has grown from a small fishing village to a major port in the country. It is also home to wildlife preserves and sanctuaries. As the capital of Togo, Lomé is the largest city in the country. It is the only international port in Togo and was ranked the 132nd most expensive city for newly relocated citizens. Bamako is the capital of Mali and has a population of 1.8 million. It is ranked as the 6thfastest growing city in the world according to City Mayors Statistics. Kabul is the largest city in Afghanistan and is also the capital of the country. It is over 3,500 years old and is number 5 on the list of the world’s fastest-growing cities. Honiara is located on the island of Guadalcanal and is the capital of the Solomon Islands. The Solomon Islands are made up of 6 large islands and 900 small islands and is north of Australia. The population of Honiara is around 84,000, but the population of the Solomon Islands as a whole is 635,000. Funafuti is the capital of Tuvalu and has a population of 10,000 people. It is North of Fiji and is a small, but beautiful island. It is the fourth smallest country in the world, just larger than the Vatican City, Monaco and Nauru. Antananarivo is located near the Southeast African Coast and is the capital of Madagascar. The population is over 2.6 million and it is one of the top 130 exporters in the world. Internet speeds like these will make it difficult to download files or watch videos, send emails or surf the internet. However, many of these places, like Kabul, have only had readily available internet for a few years and are therefore likely to grow significantly. As our reliance on the internet continues to grow, these cities and others at the bottom of the list, will likely upgrade systems and services to enable a greater connection in the future. 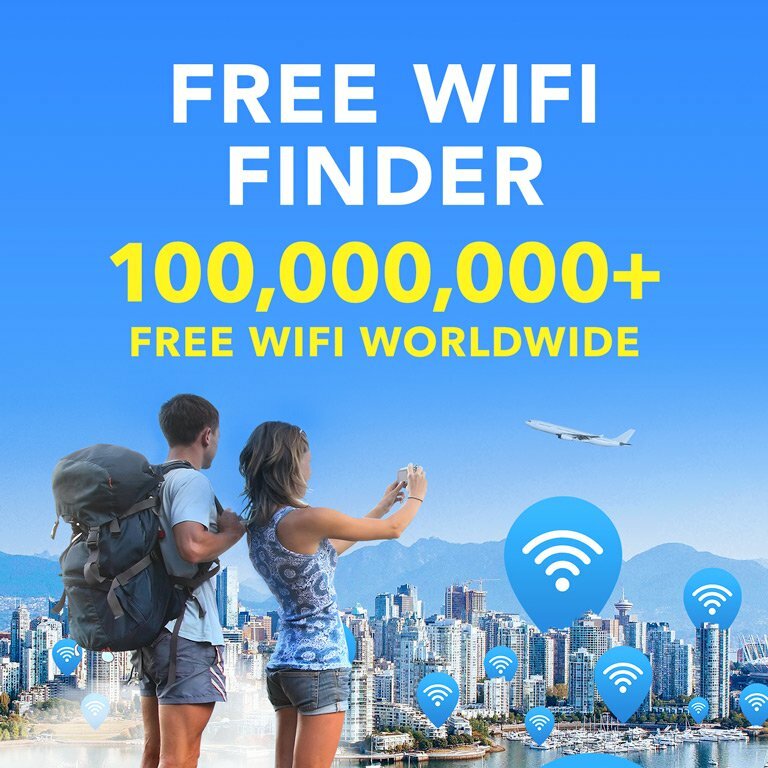 Wherever your travels take you, you can rely on WiFi Map to get you a connection from cafes, bars, museums and more. 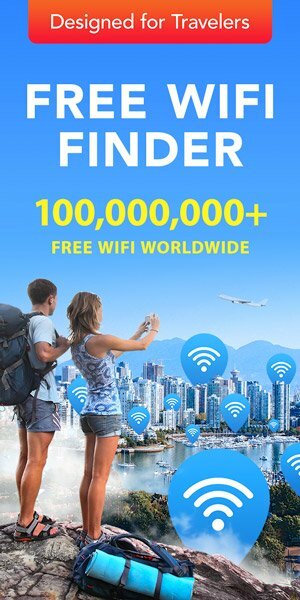 Don’t ever travel with uncertainty again, download the app today!